The increased frequency and severity of storms lashing Southern Africa and droughts affecting East Africa in particular are consistent, with predictions of a rise in extreme weather attributable to climate change. Because of global warming, no one should be surprised when such storms hit. However, preparedness is possible, as well as coordinated regional and continental responses. While individual African countries struggle economically, their pooled resources combined with available aid from the UN, humanitarian assistance, foreign countries and other regional bloc organisations worldwide should provide funding for an emergency response unit for natural disasters. In November 2016, SADC established a SADC Disaster Preparedness and Response Strategy, but deferred the creation of a funding mechanism. As Cyclone Idai ravaged the region in March 2019, SADC’s Chairman, Namibia’s President Dr. Hage g. Geingob, admitted the funding mechanism was still a work in progress. The African Union (AU) in 2002 replaced the Organisation of African Unity (OAU), itself founded in 1963 as a continental platform for development and achieving a unified diplomatic voice to present to the rest of the world. The conflicted times of the Cold War hindered the founding ideals of the OAU and it was hoped that that unity would be achieved in the 21st century under the AU. Lavish AU headquarters were built with China’s funding in Addis Ababa, Ethiopia, where the OAU had also been headquartered. However, from a practical point of view, the AU’s accomplishmentstoday appear vague to Africans who write in newspapers and comment on social media. The perception that the AU and SADC are quick to validate elections that international observers deem neither free or fair, particularly when incumbent presidents are running for re-election, is persistent, echoing a popular view that these bodies are “old boy talk shops” that host summits where leaders are treated like royalty. Against this view is the reality that the AU and SADC do have problems with elections. In January 2019 SADC called for new elections in the Democratic Republic of Congo after the original voting was deemed fraudulent. A review of the AU and SADC websites provides ample examples of regional and continental initiatives that promote the well-being of Africans in the economic, health, education, scientific and also artistic spheres. On 24 March 2019, SADC’s Chairman, Dr. Geingob, announced SADC would contribute US$ 500,000, or 0.05%, of the rehabilitation money required. Mozambique, whose fourth largest city was 90% destroyed, was to receive only US$ 200,000. The AU’s response seemed even more miserly, contributing US$ 350,000, or 0.035%. Against this was seen the activities of international humanitarian groups and foreign governments rushing in on rescue missions and airlifting aid to feed, clothe, shelter and rebuild. However, a deeper understanding of the AU and SADC is required. Both organisations function on protocols that then establish institutional frameworks which provide action on issues carefully and at length negotiated between member states. Both organisations are constrained by limited financing – member states are largely impoverished and unpaid dues by states is a perennial problem. Funds for emergencies are squeezed out of SADC’s budget in the absence of dedicated disaster funding. A funding mechanism exists, but it needs larger allocations to function appropriately. Both the AU and SADC had to appeal to member states to augment their meager Cyclone Idai assistance with bilateral contributions. Nevertheless, Cyclone Idai may have been the natural disaster that propels a new round of diplomatic negotiations between states to come up with a permanent funding solution to not only manage disasters when they occur but to prepare for them. The growing frequency and destructiveness of weather disasters will be inevitable until the world mounts effective climate change measures. Both the AU and SADC have military organisations: the African Standby Force for the AU and the SADC Brigade, founded ten years ago to provide military personnel and support to the African Standby Force. These units were seen by member states as essential to ensuring peace and stability and have been actively supported by member states through their individual armies. Similarly, the AU Humanitarian Policy Framework was created in 2016 following severe Ebola outbreaks in Liberia and Sierra Leone. The policy was aimed at disease control and called for the establishment of the African Centre for Disease Control (Africa CDC). Months after its inauguration in January 2017, Africa CDC responded to its first emergency, a Lassa Fever and Meningitis outbreak in Nigeria. By 2018, African states were called upon to follow a new Africa CDC framework for a continentally coordinated response to medical emergencies. The Regional Disaster Preparedness and Response Fund is designed to similarly mitigate against weather-related tragedies, if member states can manage its financing. Before the South Africa parliament on 22 March 2019, International Relations and Cooperation Minister Lindiwe Sisulu testified that South Africa’s capacity to respond to natural disasters has deteriorated during the past 20 years, even as neighboring countries look to South Africa for relief in disasters. 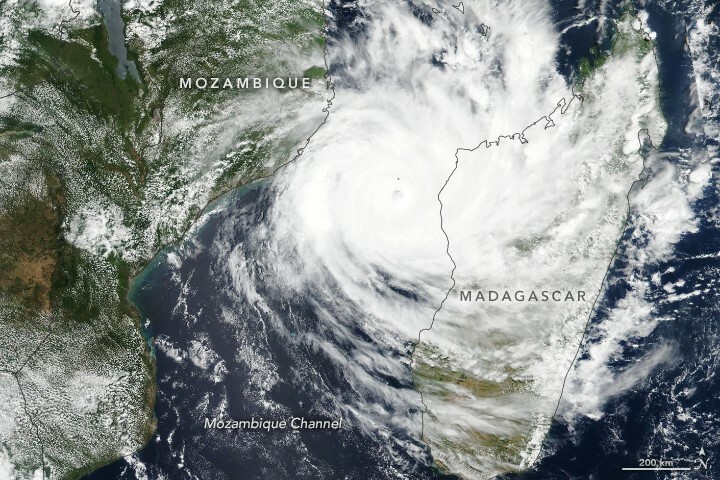 The minister reiterated the need for a regional response, and for now SADC is “completely unprepared” for disasters of the magnitude of Cyclone Idai. 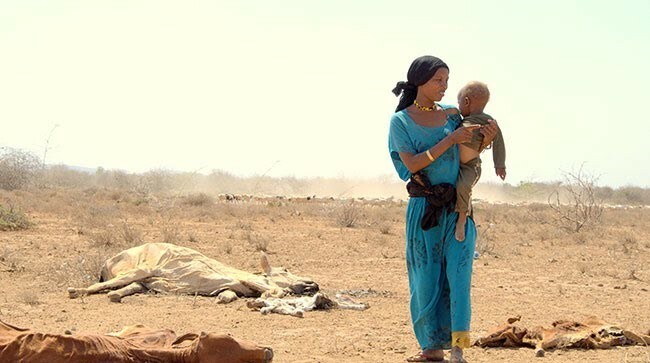 The African Union in 2015 adopted an African Region Strategy for Disaster Relief Reduction, which was undertaken in response to the drying up of water bodies and the death of livestock. The policy can be utilised to create a continental body to coordinate assistance when disasters strike. In addition to climatechange-related calamities, such as worsening droughts and storms, Africa is not immune to volcanic activity and earthquakes. Individually impoverished, many countries have difficulty coping with disaster management. Collectively, pooled resources supplemented by willing financial contributions from international donors can build a strong disaster management body whose precedents already exist in disease control and security. AU and SADC responses to Cyclone Idai were meagre and resulted from a lack of a disaster management unit to handle such emergencies. The AU and SADC already have military units in place and the AU has established a unit to manage disease control, establishing precedents for a natural disaster emergency response organs. The AU may create a natural disaster response unit from an already existent disaster relief reduction strategy that member states adopted in 2015.